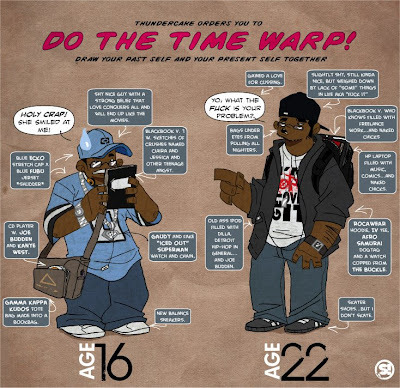 The original meme, developed by Thundercake, basically wanted the artist to depict themselves at both and young age and then their current age. So, thinking back in my high school days *shudder* I came up with 16 being the perfect age to depict. I was young, naive, and full on crushes, anime, webcomics, Kevin Smith movies, and Fight Club.